In celebration of the 10th anniversary of the program’s distribution, we looked back at the impact of creating Canada’s first fully-distributed undergraduate medical program. Since expansion began in 2004, the UBC Faculty of Medicine, in partnership with the provincial government, academic partners University of Victoria, and the University of Northern British Columbia, and all six health authorities, has more than doubled enrolment, and distributed education, clinical training, health sciences research and teaching across BC. This province-wide approach is made possible through a robust information technology system that allows instructors and students in many disparate locations to interact simultaneously, taking learning beyond classrooms and into clinics and hospitals in urban and rural settings. 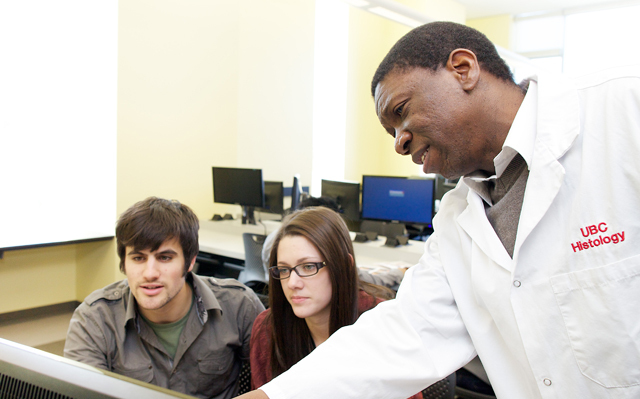 The distributed medical undergraduate program aims to improve upon the low number of rural and Indigenous students seeking medical careers, while also allowing students to complete their training in rural and underserved communities, where, as studies suggest, they are more likely to return to practice once their training is complete. The Island Medical Program, based in Victoria, is delivered in collaboration with the University of Victoria. The Medical Sciences Building, located on campus, serves as the home base for the IMP and boasts lecture theatres; anatomy, research and multipurpose laboratories; problem-based learning and clinical skills rooms; and computer labs. IMP students have full access to University of Victoria’s student services, including the library, athletics and recreation facilities, and clubs. Students gain clinical experiences across Vancouver Island, including the central island communities of Duncan and Nanaimo as well as north island locations, such as Campbell River, Comox, Port McNeill and Port Hardy. The medical education experiences reflect the health-related challenges facing mid-sized urban communities, as well as smaller, remote communities which include both a large elderly and Aboriginal population. The IMP blends state-of-the-art medicine, including access to all of the major specialties and most sub-specialties, with community medicine in smaller centres than those found in Vancouver. To learn more about the program, please visit the IMP website. 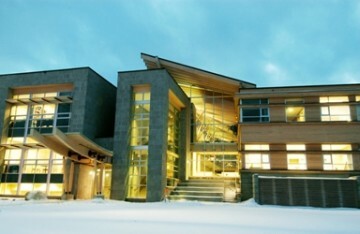 The Northern Medical Program (NMP) is based at the University of Northern BC in Prince George. The Dr. Donald Rix Northern Health Sciences Centre (above), a sophisticated and attractive new building, is home to the program. All NMP students have full access to UNBC’s student services, including the Northern Sport Centre, a state-of-the-art recreation centre with an indoor track and soccer fields. Clinical learning in the NMP takes place not only in Prince George but throughout the north. Rural and family medicine is a significant focus of the NMP, and the opportunities for independent learning are considerable. NMP students benefit from many up-close, hands-on learning experiences not commonly found in larger programs, and receive tremendous support from the medical community, who are proud to be involved in training the next generation of healthcare professionals. Two integrated clerkships, one in Terrace, and a second in Fort St. John, offer students the opportunity to learn medicine in an innovative format. Instead of the traditional discipline-based rotations, integrated clerkship students spend their third year working in a community setting where they follow patients through in-take to discharge for any medical procedures they may require. To learn more about the program, please visit the NMP website. The Southern Medical Program (SMP), based at the University of British Columbia's Okanagan Campus (UBCO) in the Interior of British Columbia, accepts 32 students each year. Admission to the SMP program is processed centrally by the UBC Faculty of Medicine Admissions office, as is the case with the other programs. Students share the same curriculum and meet the same academic standards as their peers in Victoria, Prince George, and Vancouver. Graduates from the program receive a UBC degree. 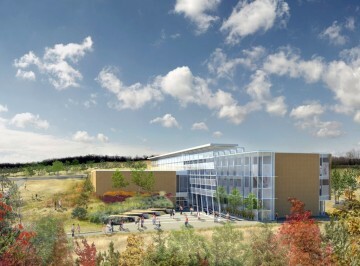 Two buildings funded by the BC Government have provided the SMP with high-tech classrooms and lecture theatres, research and teaching laboratories, and administration and faculty offices. The Health Sciences Centre, a $28 million, 4,266-square-metre building is located on the UBC Okanagan campus, and a two-storey, 3,200-square-metre building at Kelowna General Hospital serves as a Clinical Academic Campus. In addition to Kelowna General Hospital, students have first-rate clinical training opportunities throughout the province, and in the Interior region. Affiliated Regional Centres include the Royal Inland Hospital in Kamloops, the Vernon Jubilee Hospital and Penticton Regional Hospital. Visit the SMP website to learn more about this unique program. Clinical education in the Vancouver Fraser Medical Program (VFMP) is structured around traditional, discipline-based rotations in clinical settings throughout the Vancouver Fraser region. At clinical academic sites such as Vancouver General Hospital, St. Paul's Hospital, and Royal Columbian Hospital, students gain exposure to all specialties and sub-specialties, and see a variety of patients and problems typical of large urban populations. Students also gain generalist experiences in smaller but busy hospitals throughout the Lower Mainland and Fraser Valley. 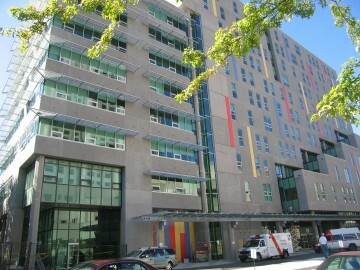 New facilities such as the Life Sciences Centre at UBC, and the Gordon and Leslie Diamond Health Care Centre (DHCC), located next to Vancouver General Hospital, provide students with state-of-the-art equipment, technology, lecture theaters, problem-based learning rooms, and space to meet and study. 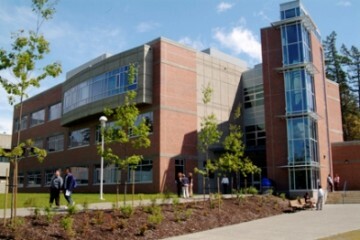 The DHCC also houses the Biomedical Branch of the UBC Library. The Medical Student Alumni Centre is nearby, where students relax, attend group meetings, hang out with their peers, or work out in the gym. The VFMP also provides innovative community-based education programs. The integrated clerkship in Chilliwack, BC differs from traditional rotating clerkships. Instead, students are based in a community clinic where they follow patients through the cycle of their treatment. In a single day a student could see, for example, patients with surgical problems, internal medicine complaints, as well as obstetrics. While the encounters are different, the learning objectives are the same. Vancouver is a world leader in health sciences research, and with a growing network of researchers, clinicians and educators within the Faculty of Medicine and our health partners, there are enormous opportunities for students to conduct research, work on projects, and be part of the solutions to the health challenges of today.